I spent most of my life being unbelievably critical and horrible to myself. I felt as if the more critical I was, the more easily I would stick to a diet and make a change. A masochistic kind of tough love that genuinely didn’t work. At nearly 300lbs I realised that I was going to have to make a change or I was going to die early. I have done every diet, tried every pill and every fad there is. All in the search for that magic solution. None of them worked - there is no magic cure. Finally, I conceded defeat and went back to the drawing board to create my own plan. It is based on everything I have learnt over the years; every mistake I made and every great thing that made a difference. I have lost well over half of my body weight and maintained a healthy weight for many years now. It’s easy - and at 300lbs I never would have believed losing the weight would be possible, let alone easy. Victoria, I absolutely love you. 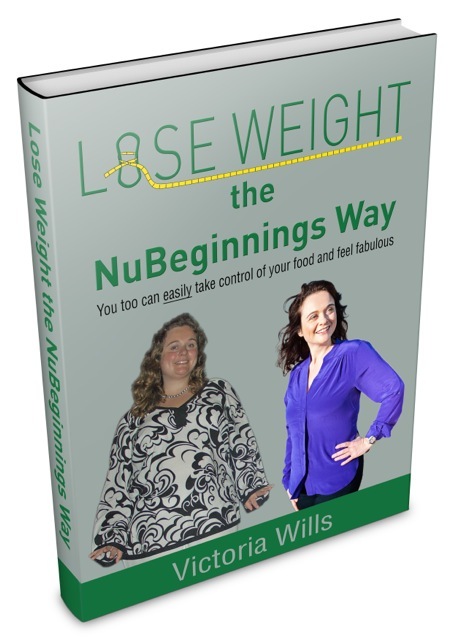 I have been dieting now for 15 years and after reading your book… the penny finally dropped and I have lost 3.5 Stone [49lbs or 23kgs] and it’s been really easy. Every day it gets easier and I can’t thank you enough, you have made a very depressed woman a happy and confident one!! My book covers everything you need to know about genuinely creating change in yourself. Transforming yourself into eating healthily because you want to rather than feeling as if you have to. My book contains everything you need to do this for yourself. I wrote it because I realise the personalised plans are not going to be possible for everyone. My book makes my method available at a fraction of the price. The good news is I have made all the mistakes for you - you can save yourself a lot of time and heartache by just following the plan I give you in my book. Are you ready to let go of the frustration of failures from the past? If so grab my book and transform your body into the one you want.